Fashion Earrings Buying Guide : what are the best earrings for you? Fashion earrings comes in different shapes and sizes and it can get difficult to know what to buy. What are chandelier earrings? Where can I buy earrings online? 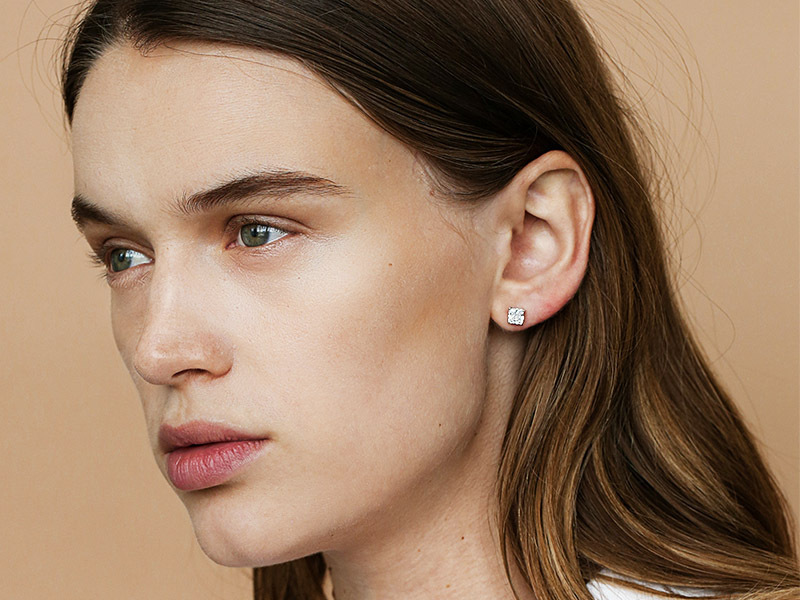 What makes cluster earrings elegant? These are all legit questions that you may have. But, rest assured. At Ana Luisa online jewelry shop we strive to offer you the best information and the best fashion earrings collections. In this article, you will discover how to buy fashion earrings online and differentiate between different types of earrings. Read further to understand more about various fashion earrings types and where you can find the best earring shop. To get a general idea about earrings for women check out this comprehensive guide. 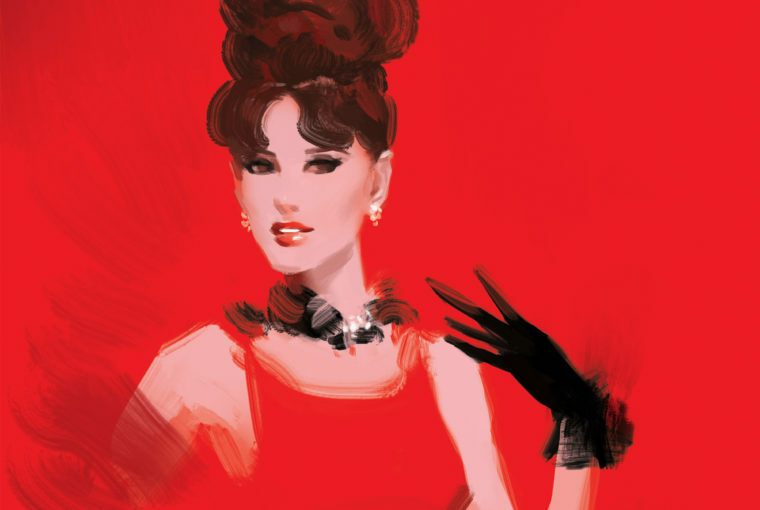 Each of these categories determines the shape and size of the earrings you are wearing. In the following sections, you will understand which earrings you can find in each category and why you should have fashion earrings from all of them in your jewelry box. Before you buy earrings online, get to know their different types so that you know what to search for in an earring shop. Studs are simple, fashionable and lightweight. They usually feature a gemstone on a tiny post that goes through the piercing in your earlobe. You secure the post using a back piece. This way it appears as if the earring were attached to your earlobe. Stud earrings are usually small and easy to match. Of course, you can have multiple types of stud earrings from diamond studs to mismatched earrings made of different materials. If you buy earrings online, make sure to look at the backpiece and see if you would be comfortable with it. Hoops are classic and, usually, medium or large. You can find hoops at any earrings shop. They go well with any hairstyle but are harder to match than stud earrings. 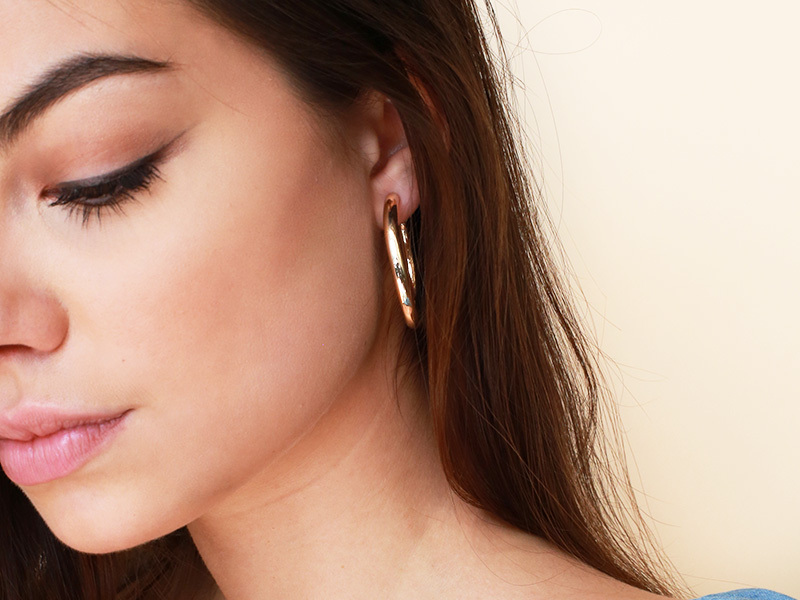 Gold hoop earrings have made a comeback in the recent year and we expect them to stay for a very long time. As fashion earrings, hoops can be very different in terms of size and even shape. Usually round and simple, hoops have now diversified their style. 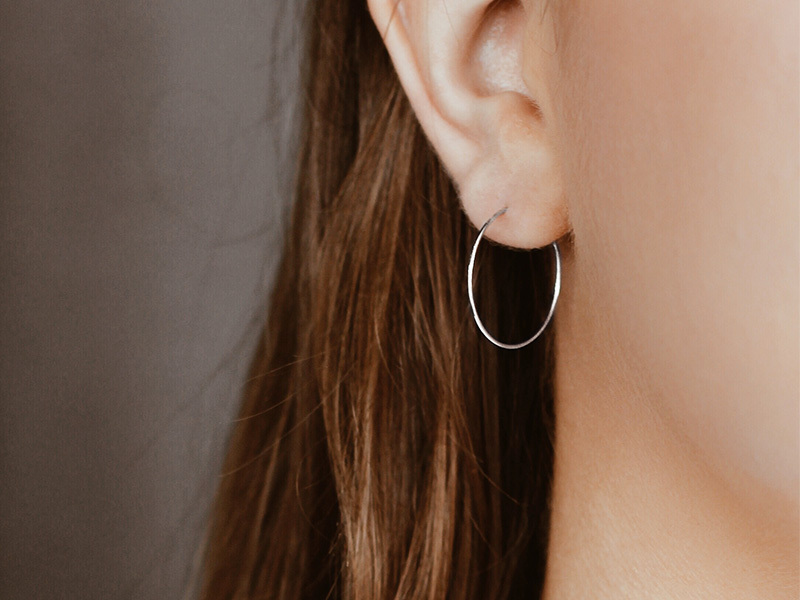 You can buy earrings online and get a pair of large or medium-sized hoop earrings, but you can also get small or even gemstone hoops. The small hoops are also called huggies because it seems like they are hugging the earlobe. In the world of fashion earrings, drop earrings may be the biggest category of earrings. Usually elegant and more appropriate for formal occasions, drop earrings come in many different styles. In this category, you will find the dangle earrings, the chandelier earrings, the linear drop earrings, the tassel earrings and other creative styles. Before you buy earrings online, know that one thing all drop earrings have in common is that they hang below the earlobe and dangle beautifully. You can find many styles of drop earrings but, if you want to learn about different types, read Ana Luisa’s drop earrings buying guide. Clusters are usually gemstone earrings featuring multiple stones in a cluster. They are very elegant and work best with formal outfits. When you buy earrings online at the earring shop, take a good look at the cut and clarity of the gemstones. Cartilage earrings are usually small earrings you wear on your cartilage. You can wear a cartilage earring on its own or combine it with other fashion earrings. If you want to buy earrings online, look carefully at the cartilage earrings and see if they appear to be comfortable. As you well know, fashion earrings are made of different materials and metals. It’s important to understand the types of materials in order to know what you are getting when you buy earrings online. Gold earrings can have different karat types. As you know, gold is a very soft metal and, as a result, you can’t have a 100% gold piece of jewelry. Usually, you can find gold earrings in different alloys and the karat type indicates the percent of gold in the alloy. From 10k to 22k, there are different alloys of gold. 10k gold contains the smallest amount of gold, while 22k the biggest. Gold earrings can also be yellow gold, white gold or rose gold. When you visit the earring shop or buy earrings online, always check the karat type for gold earrings. If you buy earrings online make sure the earring shop mentiones what type of gold plating your earrings have. Silver earrings are also fashionable, but they can get tarnished. There are several methods to remove tarnish from silver earrings, so rest assured that your fashion earrings will look great if you take care of them. 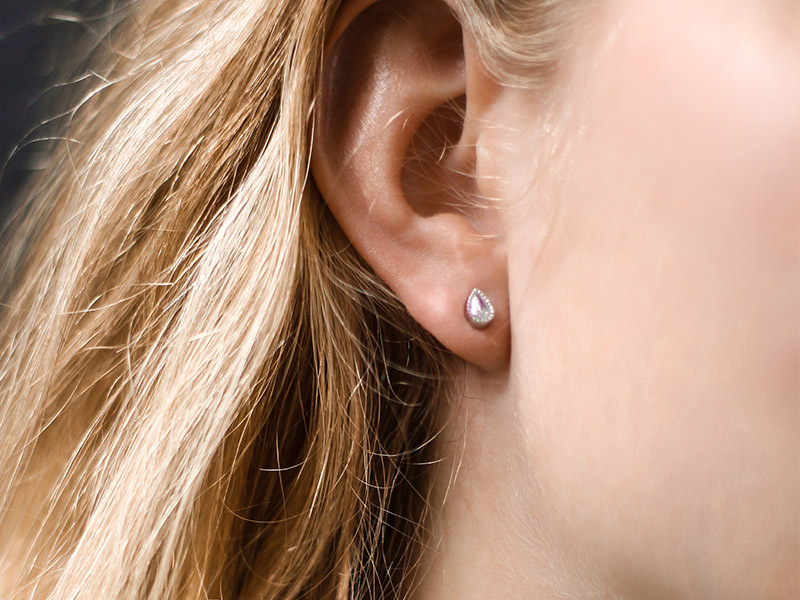 Platinum earrings are elegant and usually feature diamonds. Stainless steel earrings are durable and great for people with nickel allergies. You can also have brass, copper or titanium earrings, as well as fashion earrings of various materials (wood, plastic, textile). Last, but not least, pearl earrings are especially elegant, so read this guide to discover how to buy pearl earrings. When you buy earrings online you can find a wide variety of metals and materials in each earring shop. As important as the earring’s size and shape is its locking mechanism. Some women are very exigent when it comes to their earrings’ lock mechanism. Just like a fingerprint, the shape of our ears is unique. This means that there is no one-size-fits-all locking mechanism. Some women may prefer clip earrings, while others may feel more comfortable with snap-bar earrings. Read further to discover the differences between various locking mechanisms and buy earrings online knowing whether they will feel comfortable or not. To understand more about hoop earrings backing types, read this buying guide. This is the most popular type of earring backs. As the name suggests it, to lock these earrings in place you slip the post through the pierced ear and secure it with a separate clutch backing. Studs and drop earrings usually have a post/clutch mechanism. You can find this type pf backing at any earring shop. The mechanism for this type of earrings is similar to the post/clutch one, except that you don’t have a separate clutch backing. You simply slip the post through the piercing in the ear and then clip the earring shut using its hinged back. Take a look at all the pictures when you buy earrings online, including the ones that show the back piece. Clip earrings can be worn by women with pierced ears as well as women who don’t have a piercing in the earlobe. These earrings have a clip backing which clips shut to the ear without using a post. Usually seen on hoops, the snap-bar mechanism involves a thin post that slips through the piercing. Afterwards, you secure it by snapping it into place. In this category you can also find the hinged posts which are very similar to snap-bar earrings. The only difference is that they are a self-contained piece. Snap-bar earrings are easy to find in any earring shop, including situations when you want to buy earrings online. Very popular with vintage earrings, leverbacks are self-contained, but do not have a straight post. Instead of that, their post is rounded and part of the earring’s ornamental shape. 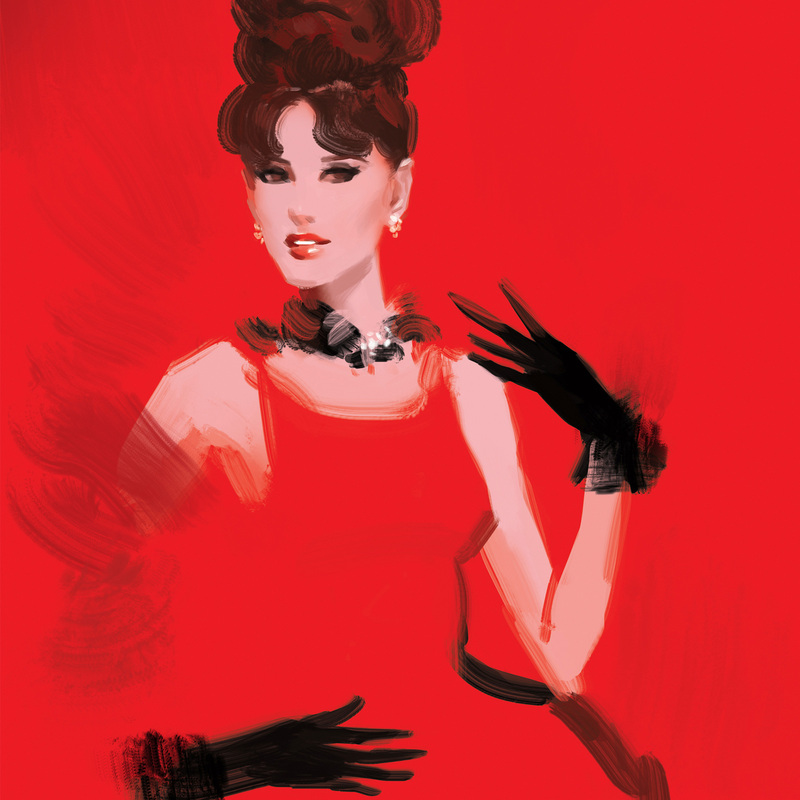 When looking for vintage earrings at the earring shop, notice the backing and you will know for certain. Many drop earrings for women have the earwire mechanism which is a very simple one. It looks just like a hook and it slips through the piercing. The rest of the wire is covered by the back of the ear. Fashion earrings are great to buy for yourself or as a present for somebody dear. You can buy earrings online from every category and find a wide selection of exquisite products. 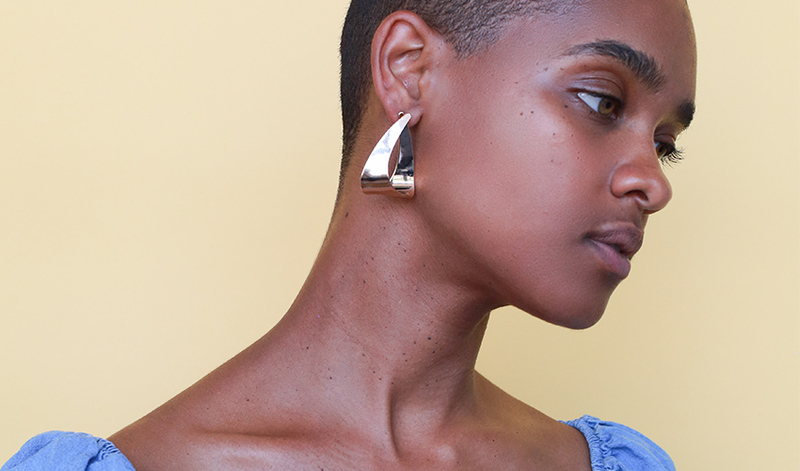 Click this link to discover Ana Luisa’s Textured or Sculptured earrings collections and buy earrings online at fair prices.